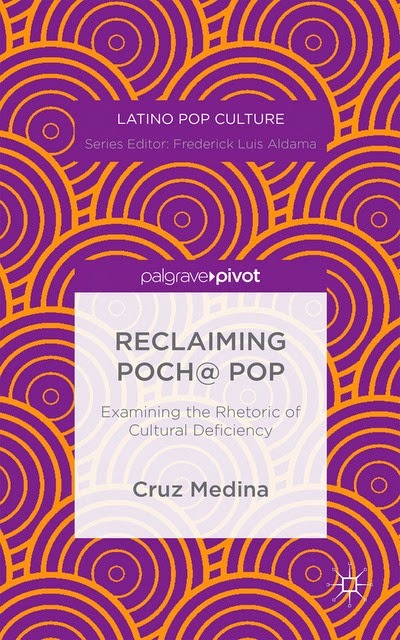 Here's the trailer for my new book Reclaiming Poch@ Pop: Examining the Rhetoric of Cultural Deficiency (Latino Pop Culture) from Palgrave MacMillan. I used a somewhat popular trailer template from iMovie, but the comic book motif fit the content too well considering I look at the work of political cartoonist Lalo Alcaraz. The song "Haces el amor con el televisor" by Limbo Deluxe--available on freemusicarchive.org--really connected with the pop theme (it translates to 'making love with the TV' in English), which aligns with the content of this examination of popular culture that many Latin@s share as a part of cultural memory. "Reframing" terms from an often negative interpretation to a more positive framework is a tried and true way for los de abajo to deflect negativity and gain empowerment.